Boston footballer Simon Garner has been inducted into the Blackburn Rovers Hall of Fame. The 59-year-old was one of seven club legends chosen to be the first names to be given the honour, along with Alan Shearer, Brad Friedel, Bryan Douglas, Derek Fazackerley, Bob Crompton and Ronnie Clayton. 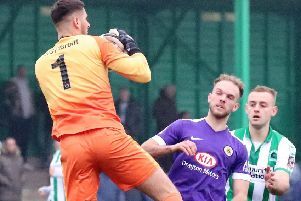 Former Boston Grammar School pupil Garner signed non-contract forms for Boston United as a 16-year-old, but was snapped up by Blackburn Rovers four weeks later. He went on to make 474 appearances for the Riversiders and is the club record goalscorer, having netted 194 times. Garner also played for West Bromwich Albion, Wycombe Wanderers and Torquay United.